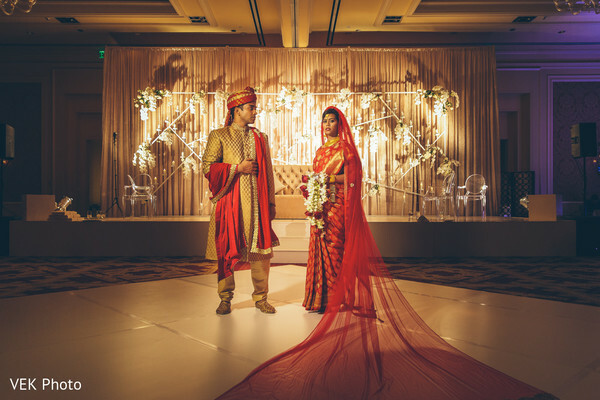 Today’s beautiful couple, Tareen & Shumon, went on with their wedding festivities hosting the reception of their dreams at the Ritz Carlton Dallas! 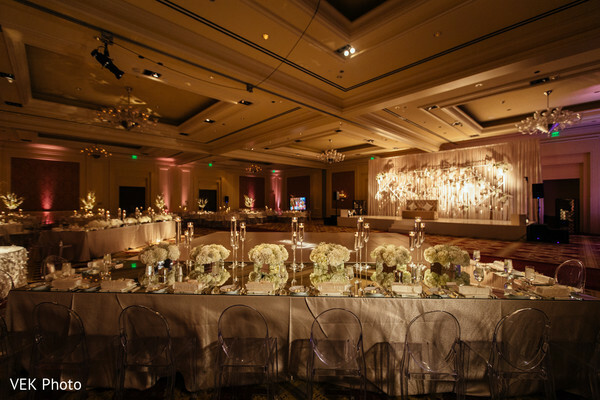 All the grandeur was planned by the celebrated planning firm Significant Events of Texas who teamed with the talented Prashe Decor to design a breathtaking white stage backdrop for the newlyweds. 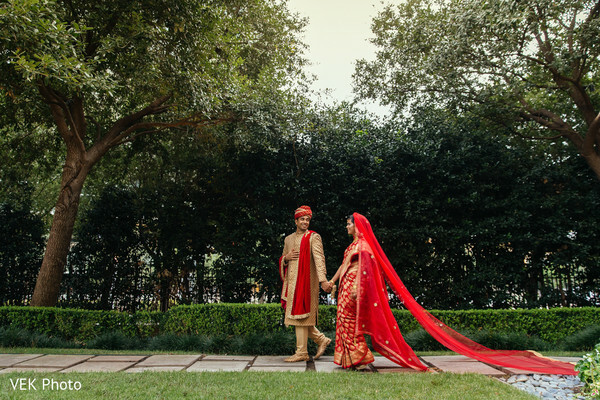 Maharani Tareen donned an exquisite red silk saree and flaunted a majestic red cathedral veil and later she slipped into a glitz lehenga for the party hours. 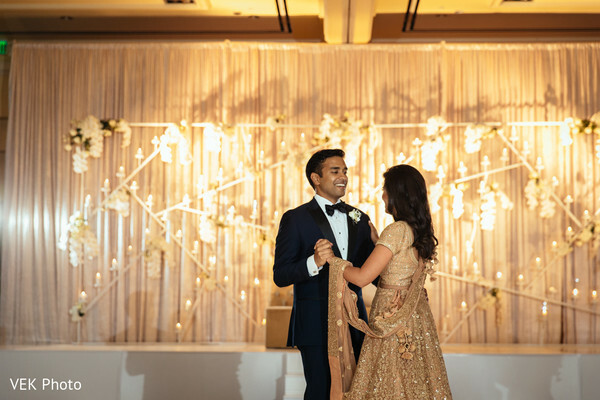 She was portrayed by the camera of Vek Photo next to her Raja Shumon, who opted for a marvelous golden brocade sherwani and later on swapped it for a black tuxedo to hit the dance floor. 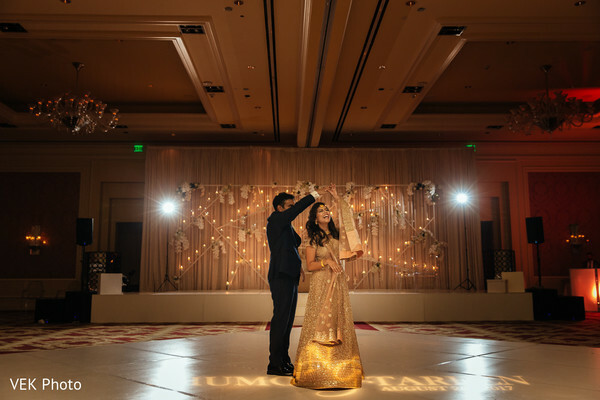 Outspoken Visions Entertainment provided their best beats and made everyone dance at the elegant ballroom while amazing acrobats from Encore Productions entertained the crowd with a sophisticated show! 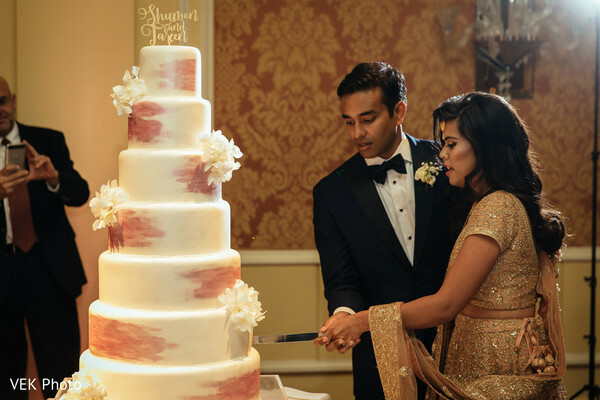 An impressive seven-tier wedding cake was beautifully displayed on this incredible night that left everyone who assisted in awe. 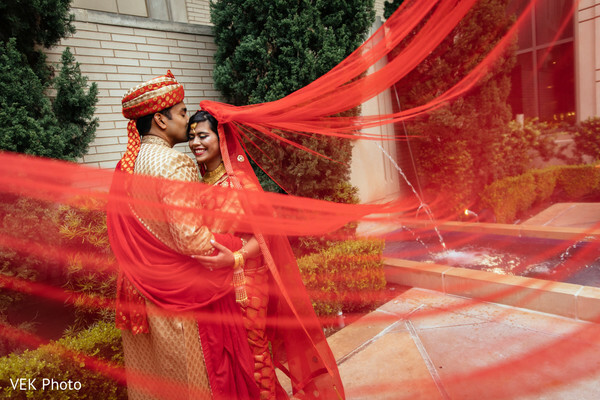 Scroll down and click in our full gallery to find more splendor! 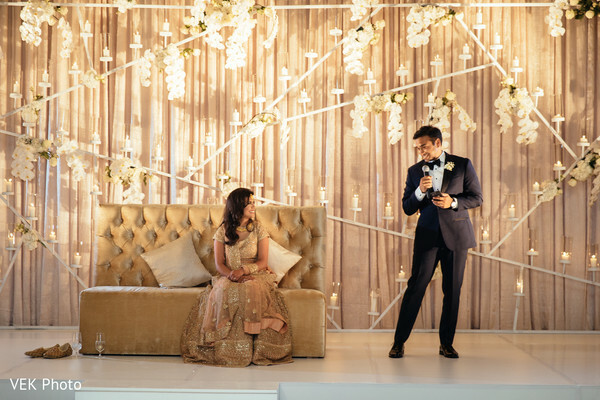 Get more genius ideas for your own special day, tomorrow! 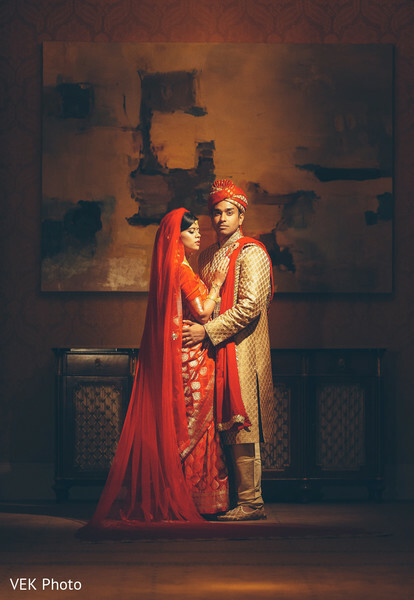 Outspoken Visions Entertainment, Vek Photo and Weddings by Farah are members of the Platinum Guide. Love what you see? Explore their portfolios.